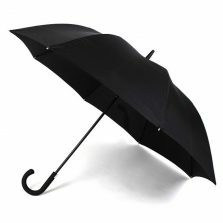 This premium quality, fully automatic compact designer gents umbrella is a must for city gents and men and commuters and travellers. Alejandro looks small, but when open it’s Teflon coated Pongee windproof canopy extends to a massive 110 cm span. 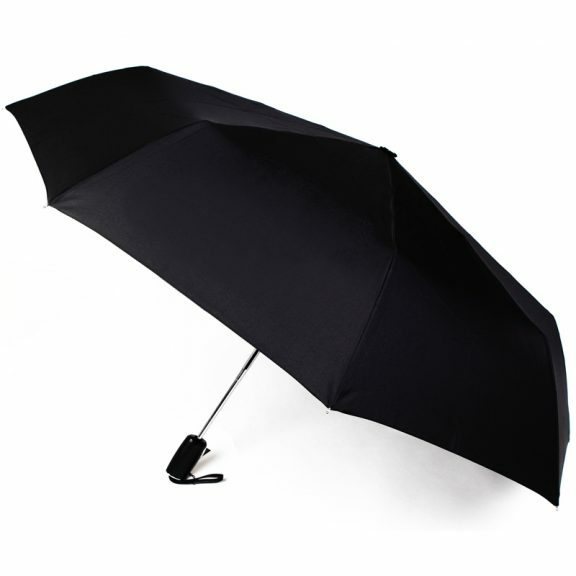 Yet when folded this 3 section, steel frame executive umbrella is a mere 33 cm long. Also, this brolly weighs only 449 gr! 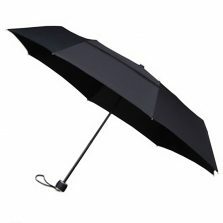 It has a fully automatic open and close system so can be deployed in seconds to avoid sudden showers. The barrel shaped handle features a chrome recessed auto-open / auto-close button, which has been moulded into the soft black leather handle. 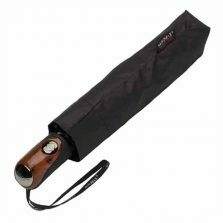 The handle of these compact designer gents umbrella’s are very stylish indeed, with a leather wrist strap and silver/chrome finishing. These compact designer gents umbrellas feature a matching zipped sleeve with a stylish VOGUE branded leather zipper pull tag along with the quality umbrella itself. We can’t think of anything else you would want from a compact umbrella. This little beauty has it all in one neat little package. Pop one in your briefcase, pocket, backpack, glove box, travel bag – in fact anywhere you can think of! Vogue umbrellas are renowned for their high quality and innovative design. They are all Teflon coated and windproof, a large number of them also provide UV Protection. 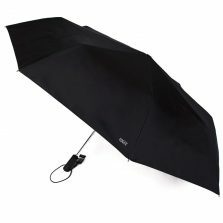 When you purchase a Vogue umbrella you can be sure that your umbrella is one of the best available today. Vogue designer umbrellas are exclusive to Umbrella Heaven. Once you owned one you will be sure to want another one to add to your outdoor accessories collection. You don’t have one? Well now seems to be a pretty good time to start one! We have lots of other distinctive Vogue umbrellas for you to choose from. Check out the rest of our VOGUE Designer Umbrellas range!